Former Alaska Gov. Sarah Palin is the best known and most positively rated of five possible contenders for the 2012 Republican presidential nomination. Her 76% favorable rating among Republicans is higher than those for Mike Huckabee, Newt Gingrich, Mitt Romney, and Bobby Jindal. Palin has the strongest name identification and positives among Republicans at this juncture. Only 4% say they don’t know enough about her to have an opinion, and, by more than 3-to-1, those opinions are positive rather than negative. See the full poll results and read the rest here. While it is not certain what Governor Palin’s 2012 plans are, one thing is certain: she has clearly been focused on 2010 and helping turn things around in Washington, DC. Her influence in this endeavor is undeniable. Through Facebook, Twitter and YouTube, former Alaska Gov. Sarah Palin has burst back into the political spotlight this month, while her family life has once again become part of the broader American conversation. But it is Ms. Palin’s groundwork on behalf of candidates across the country, along with her continued fund-raising abilities, that has Republican leaders and political strategists wondering whether she is gearing up for a presidential bid in 2012. Ms. Palin’s intentions remain unclear, and unstated. She declined to comment through her political-action committee. But her influence is undeniable: On Sunday, SarahPAC disclosed contributions of at least $87,500 to Republican candidates she has endorsed, and a tantalizing $210,000 she has spent on consultants of her own. Ms. Palin also appears to have honed her pitch. Last week, SarahPAC posted a “Mama Grizzlies” video online aimed at reaching out to women voters. In the clip, women carried signs such as “I am not the ‘Angry Mob.’ I am an angry tax-bled ‘Hockey Mom.’ ” Political experts said the video—with its high production values and campaign-like blue hues—was impressive. She has also been judicious with her political endorsements, for instance backing Nikki Haley for governor in South Carolina despite rumors of scandal surrounding the candidate, and Carly Fiorina for U.S. Senate in California over tea-party favorite Chuck DeVore. Ms. Palin’s backing was seen as important to both candidates’ victories—particularly in Ms. Haley’s case—bolstering Ms. Palin’s political clout and boosting her among women. “A sign of Palin’s political maturity and calculation is that her endorsements have become more strategic than ideological. She’s not just picking people who are compatible, she’s picking candidates who can win and, therefore, increase her power base,” said Mark McKinnon, a former media adviser to President George W. Bush. Read the rest of Mr. Weisman’s article here. While some media personalities and other talking heads repeatedly state that Governor Palin’s influence is non-existent, those who are attentive, astute, and honest know otherwise. I’ll leave it at this: whatever Governor Palin’s 2012 ambitions are or are not, right now she’s displaying a clear understanding of how to motivate, fundraise, and heavily tip the scales in the right direction–and that’s exactly the kind of impact America needs. Eddie Burke is running for Lt. Governor of Alaska. 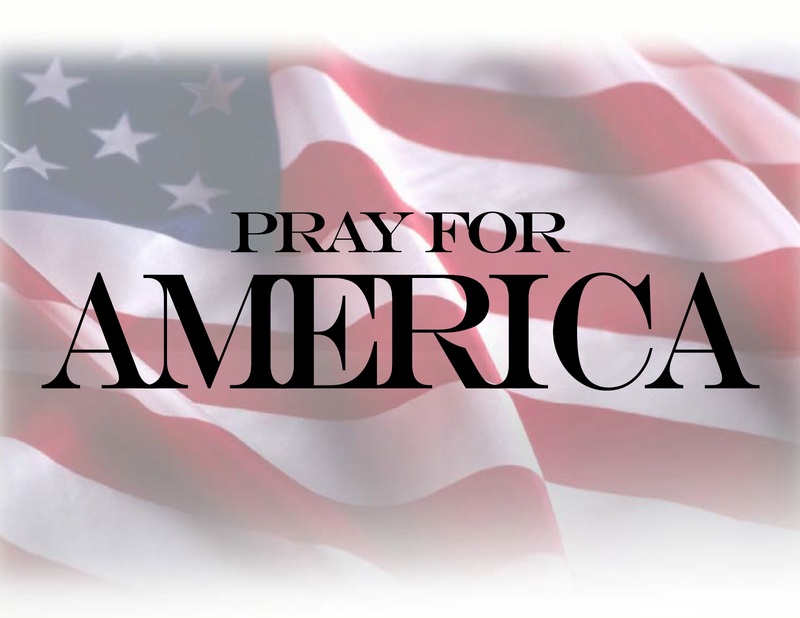 The Palin blogosphere is united in support of Mr. Burke. We think it is important that this release be spread far and wide. –ANCHORAGE – July 15, 2010 – Lieutenant governor candidate Mead Treadwell claims to be the “real Alaskan conservative” in the race. 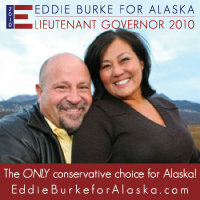 However, the Eddie Burke for Alaska campaign believes Mr. Treadwell is being less than honest in this assertion. Not only has Mr. Treadwell made questionable statements in the past regarding “human-caused climate change,” but his campaign contribution history should prove equally disturbing to conservatives throughout Alaska. Documentation available from the Alaska Public Offices Commission (APOC) indicates that Alaskan voters should pay close attention to the recipients of Mr. Treadwell’s recent political donations. While his close friendship, support for and countless donations to Senator Lisa Murkowski’s campaigns are public knowledge, it is his donations to liberal, big-government Democrats Matt Claman (here and here) and Sheila Selkregg (here) that should concern Republicans and Independents alike. According to his APOC Contribution Report, Mr. Treadwell donated $100 to Ms. Selkregg’s Anchorage Municipal Campaign. He also donated $200 on two separate occasions (March 2009, February 2010) to Matt Claman’s Anchorage Municipal Campaign, totaling $400. In fact, according to APOC, Mr. Treadwell’s most recent candidate contribution was to Mr. Claman. Did it ever cross Mr. Treadwell’s mind that he was donating $400 to an individual who sponsored the divisive Ordinance 64: The Anchorage Gay Non-Discrimination Ordinance? These are not the actions of a “real conservative. Alaskans have the right to know to whom their candidates are donating; and, Alaskans have the right to know why the Conservative Patriots Group chose to endorse a candidate who goes against everything their organization stands for. Most importantly, however, Alaskans have the right to know the truth when a candidate misleads the public. It would be in Mr. Treadwell’s best interest to explain why he donated to Ms. Selkregg and Mr. Claman. Clearly, voters are still unsure who Mr. Treadwell really is and what he believes.